Having a well-fitted and comfortable CPAP Mask is an important aspect in the success of your CPAP therapy. An ill-fitting mask can lead to facial indentations, sores and shortened therapy time. Achieving the best seal that is comfortable is imperative for an effective treatment and increases your comfort levels all going towards creating an environment optimised for a healthy night’s sleep. Sleep Apnoea Services stocks a wide range of CPAP Masks from industry leaders in the area of CPAP therapy equipment. See below for our range of traditional CPAP masks, nasal masks, full face masks, flow prongs and pillows. Sleep Apnoea has been linked to many other serious conditions and if left untreated, can be a contributing factor in heart disease, high blood pressure, stroke and diabetes. It is very important to seek medical advice and treatment if you think you are experiencing some of the symptoms of Sleep Apnoea. 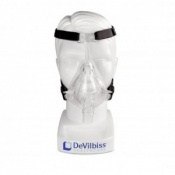 If you have your prescription for your treatment and are now looking for the correct equipment, including the perfect CPAP Mask for your treatment pathway, you have come to the right place. Sleep Apnoea Services is your expert in Sleep Apnoea products and product support. 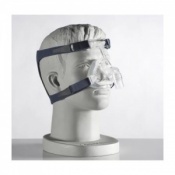 Our range of Masks for CPAP has been selected based on stringent criteria. Sleep Apnoea Services is committed to offering unparalleled support for those with Sleep Apnoea. If you have any questions about our CPAP Masks, or any other Sleep Apnoea treatment products available to order on our site, please contact our customer service team on 020 7720 2266 and we will be able to assist.